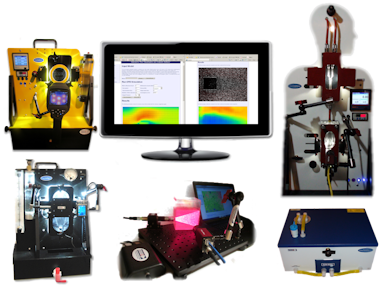 Our Mission is to develop innovative systems for teaching and basic research in Hemodynamics, Fluid Mechanics, Heat Transfer and Design at schools worldwide by utilizing state of the art technology that enables deeper learning through hands on experimentation. Our inspiration and innovation comes from our total commitment and belief in our mission. Setup or Upgrade your laboratory with our pedagogically proven, customizable state of the art instruments. FLOWCOACH, HEMOFLOW, THERMOFLOW, ePIV, MiniPIV Systems and FLOWEX™ Software are designed to enable students acquire 21st century knowledge and skills. Several interchangeable model inserts come with all the systems and the models can also be made by students as an integrated part of the DESIGN-BUILD-TEST-ANALYZE educational process. They all have attributes of research grade instruments and provide exceptional opportunity for students to also participate in research.